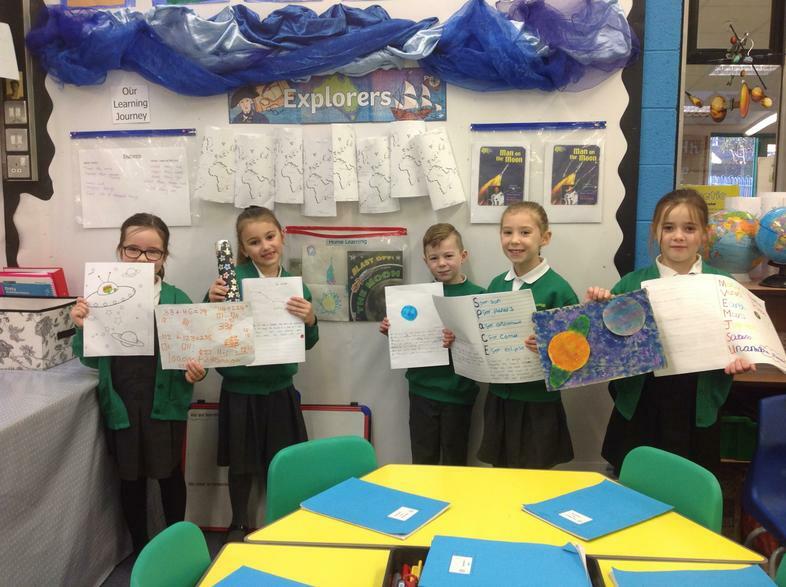 Our Year 2 homework project is all about Space. The children have been given a number of tasks to choose from and are carrying one out per week. 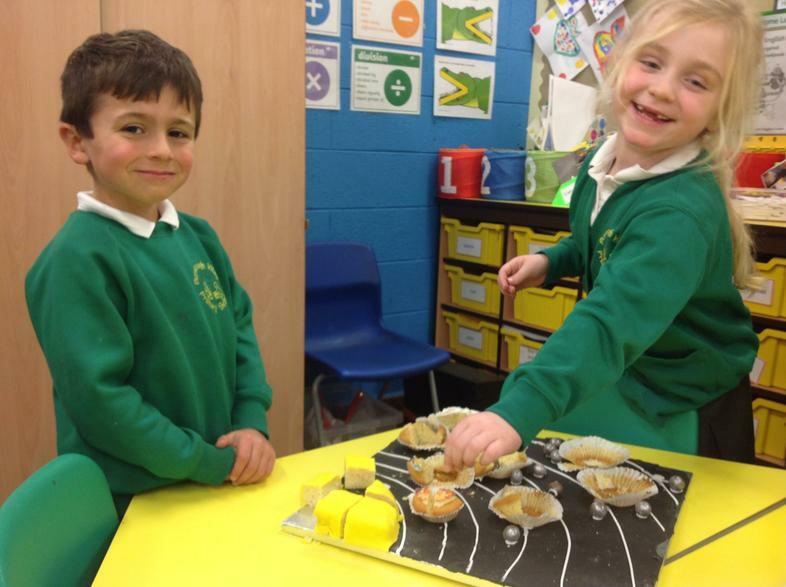 Mrs Prytherch is delighted so far with how creative the children are with their ideas and designs. 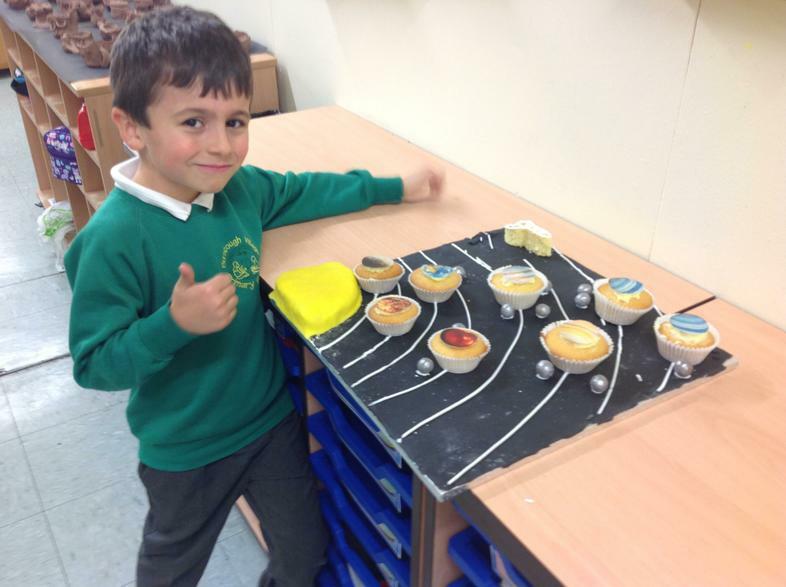 This homework is a very creative project to demonstrate the Solar System. The planets (or cupcakes!) are shown to orbit the sun and the moons (or Malteesers!) are also included. The class enjoyed looking and discussing the science of this but then loved eating the cakes! Well Done Year 2 - Keep up the hard work!